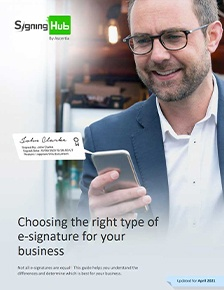 Invisible signature option for digital signatures which allows a document to be signed without any visible mark. XML file support has been added to the SigningHub API service. The uploaded XML document can be signed by a recipient on the SigningHub web interface using a service plan which has been preconfigured with an XML signing profile. Ability to remotely authorise the signing of documents, and select your e-signing capacity when in bulk signing mode. Business applications can control the activation and registration emails while registering a user via the API. This facilitates full control of communications with end users. Enterprise Admins can now clone an existing role or template and have the option to make a template publicly available. Signature fields have been modified to have transparent backgrounds to allow for easier placement on documents. Sort functionality has been added to data table views allowing users to sort by templates, documents, contacts and billing information. Centralised Enterprise Setting now allows a company logo to be added to all user accounts. Additional control is now available for SigningHub Admins to allow them to hide or show the 'Sign up' link on SigningHub mobile and SigningHub web. New configuration option for enforcing password reset. This applies to user accounts that are created by business applications or SigningHub Admins. User accounts will now be locked on multiple invalid sign in attempts, with the functionality available for both SigningHub API and SigningHub desktop web. 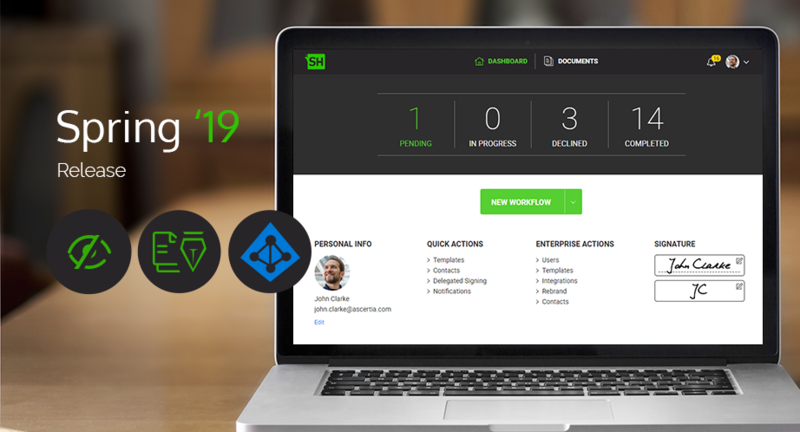 Single Sign On (SSO) has been added to the SigningHub API service which allows business applications, that rely on Office 365 server, to authenticate an Office 365 user using a one-time token. The token can be passed on to the SigningHub API service and a SigningHub access token is received in return. Azure Active Directory authentication support via SAML 2.0 and OAuth 2.0 for SigningHub mobile and SigningHub web. Application Insights service is integrated with SigningHub to monitor live performance and usability of the application. It also detects performance anomalies in the application and helps to diagnose issues. We constantly strive to meet the changing needs of our valued customers. Let us know your thoughts on the latest SigningHub release by providing your feedback here. Thank you!